Bring a large pot of water to a boil. Add the potatoes and salt and cook until tender, about 15 minutes. Drain the potatoes, let cool, peel and cut into half inch chunks. In a large bowl, combine the onion, celery, relish, salt and pepper to taste, mayo and sour cream. 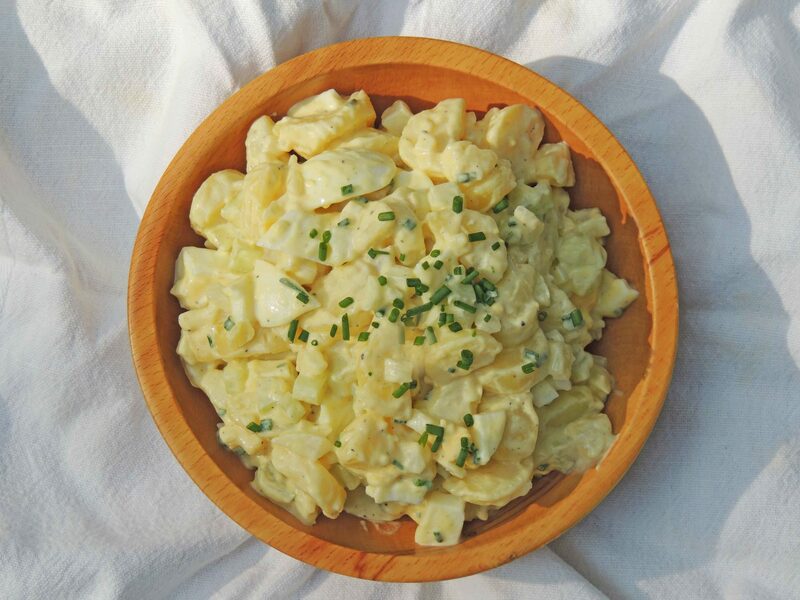 Fold in the potatoes, eggs and green onions. Taste and add more salt if needed.